These glazed doughnuts are incredibly soft, fluffy, and perfectly sweet. ➤In a medium bowl, add the milk, sugar, and yeast, stirring to combine. ➤In a separate medium bowl, add the butter, eggs, and vanilla extract, stirring to combine. ➤Add the milk mixture to the egg mixture and whisk to combine. Transfer to a large bowl and add the flour in thirds, stirring between each addition. ➤Dump the dough onto a lightly floured surface and knead for 5 minutes, until smooth. Gently poke the dough with a finger--the dough should bounce back up from the indentation. ➤Place the dough in a large bowl, and lightly coat the dough with oil. Cover the bowl with plastic wrap. ➤Let the dough rise in a warm place for an hour, or until doubled in size. ➤Take the dough out and knead on a floured surface for 5 minutes until smooth. Place the dough in an oiled bowl and repeat with rising overnight in the refrigerator. ➤Roll out the dough on a floured surface until ¼ inch (6 mm) thick. ➤Cut out the doughnuts and donut holes with a cookie cutter and piping tip. 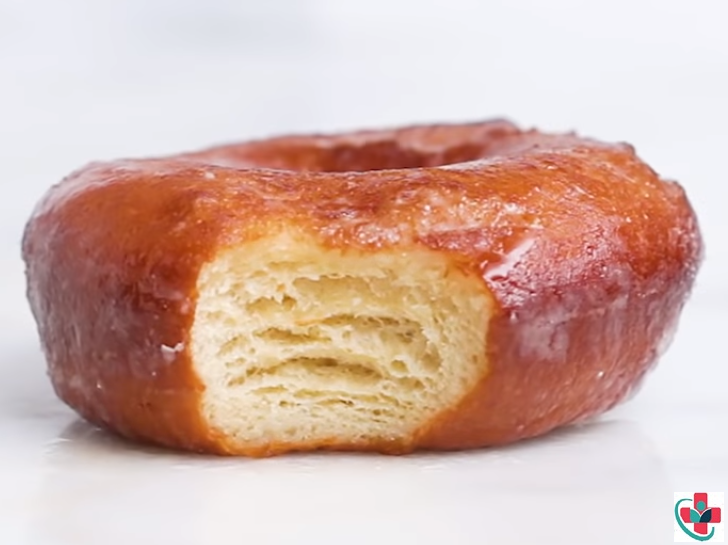 ➤Fry the donuts and donut holes for 45 seconds on each side, or until golden brown. ➤In a bowl, combine the powdered sugar, dry milk powder, vanilla extract, and hot water until smooth. ➤Strain the glaze through a fine-mesh sieve to remove any lumps. 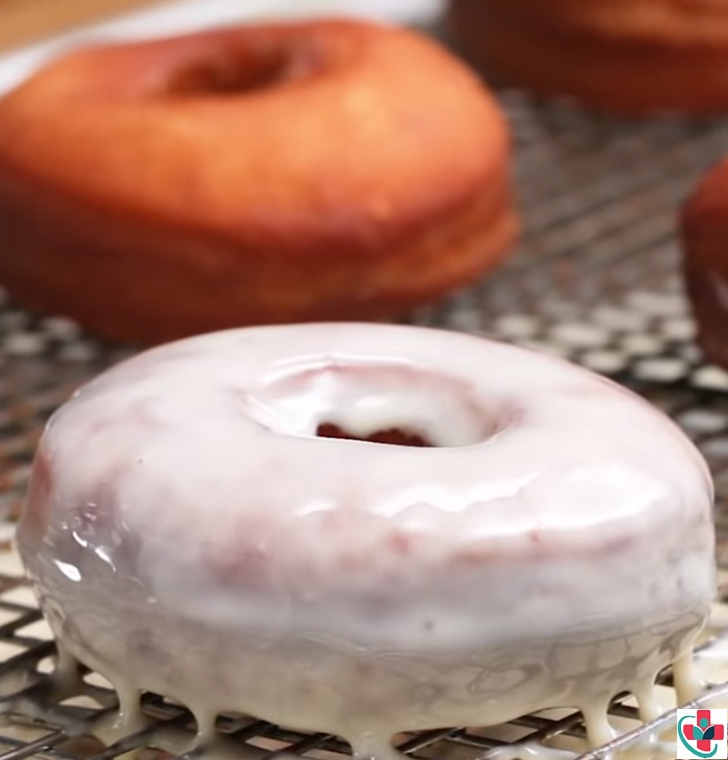 ➤Dunk the donuts in the glaze or drizzle the glaze on top.